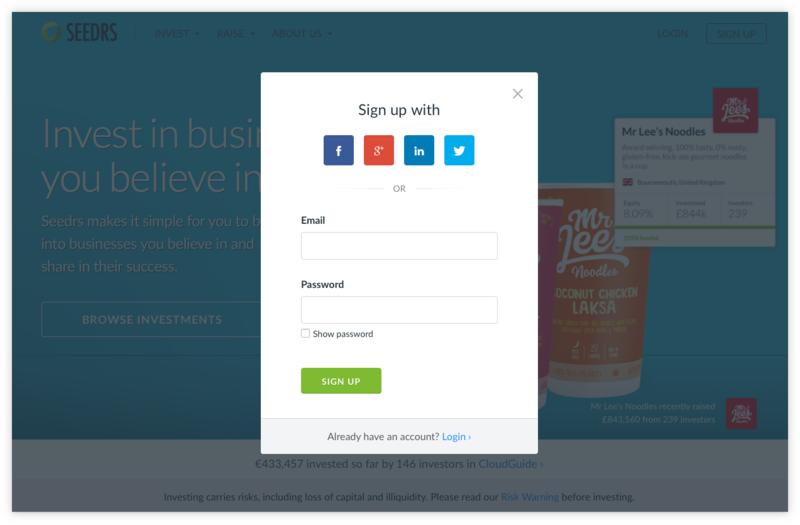 Once you’ve completed these tasks you’ll be ready to start investing in Seedrs campaigns. Enter your email address and choose a password, or register using a social media account. Don’t forget to confirm your email right after to continue the journey. 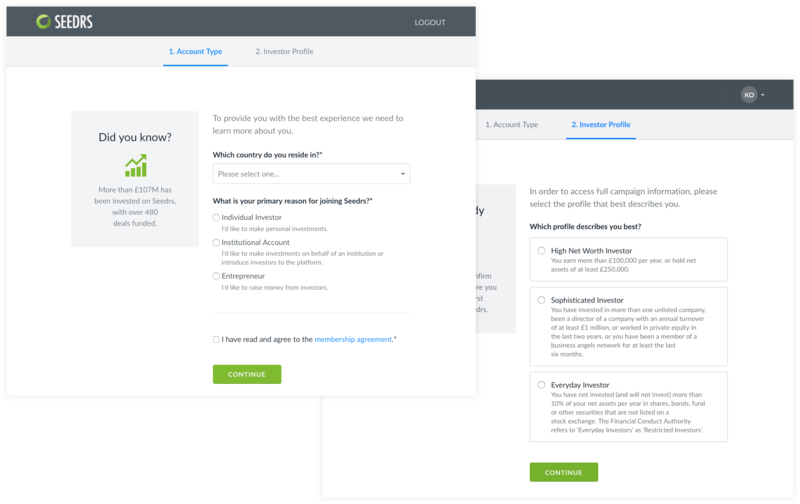 Choose your account type, select your type of investor profile and complete a short multiple choice quiz (7 questions) about investing in startups. Once this step is complete you’ll be able to access full campaign information, but you won’t be able invest until you verify your identity. Click on “Profile completeness” in the upper right corner. You’ll need your Passport or ID card with you. This is an automatic identity verification for KYC purposes. Provide as much of the information and ensure your address is your up-to-date address of correspondence. Fill in your personal details including your Tax Identification Number. Learn more about what this means for your country here. If we're able to verify your identity automatically then congratulations! 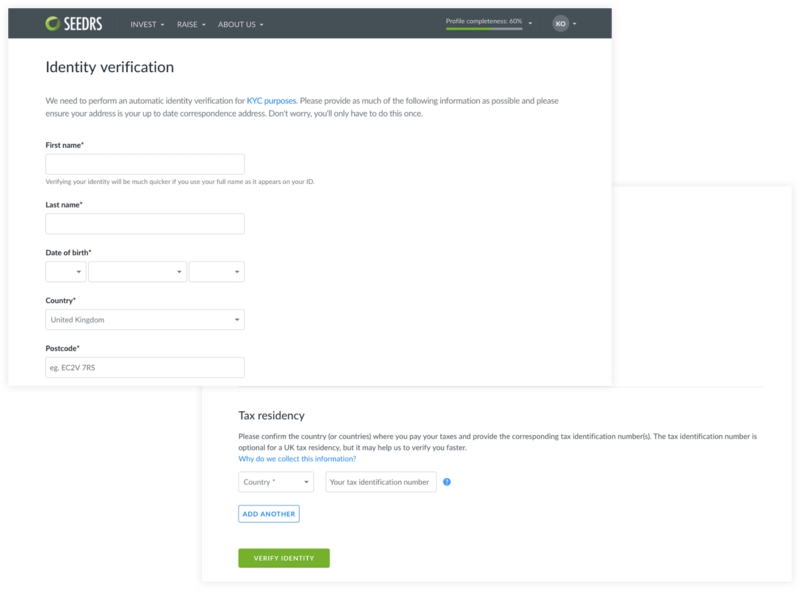 You now have a verified account with Seedrs and you're ready to start investing in campaigns. 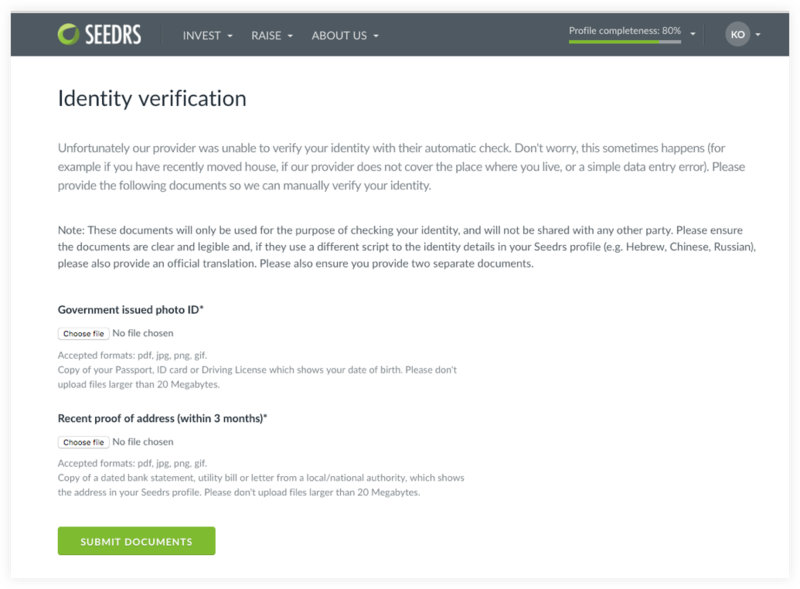 If our provider was unable to verify your identity with their automatic check then you’ll need to upload a photo (PNG or JPG) of your ID and proof of address so we can manually verify your identity. Once you've submitted the required documents, our team will just need to verify your identity. This shouldn't take too long. We'll send you an email to let you know once it's complete so you can start investing in campaigns.